Many people won’t know of or understand Supreme Court of Victoria Equity Case Files, BUT once they do, they will definitely want to access them! 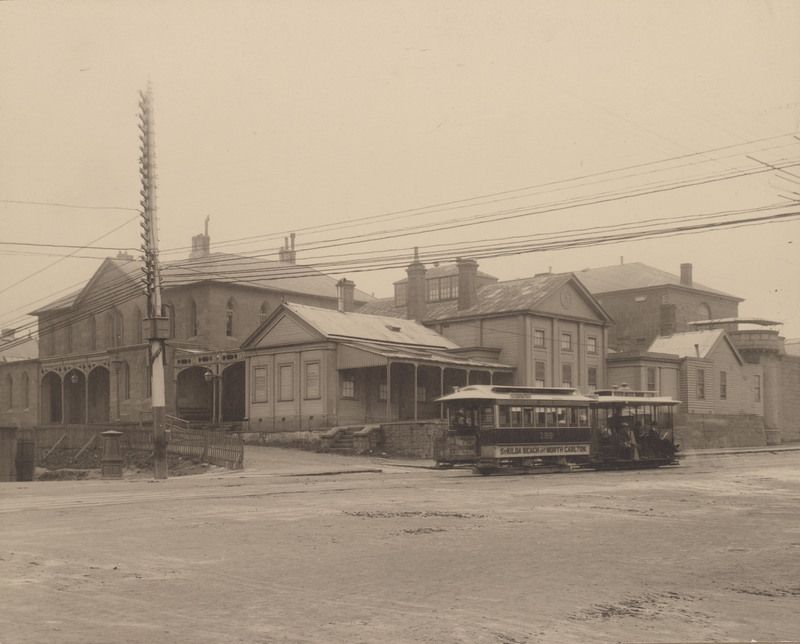 The old Supreme Court can be seen in the photo – it was on the corner of La Trobe and Russell Streets and was built in 1842. The image is from the LaTrobe Collection, State Library of Victoria Ref H8305. It was replaced by the current complex known as the Melbourne Law Courts in William Street, Melbourne. The “new” building was built between 1874 and 1882. So why am I writing about the Victorian Equity Case Files on my Geelong & District Blog? Because they are part of a number of indexes which will be added to the Geelong & District Database shortly. We are indebted to Ada Ackerly for making a number of her important indexes available for all to search free online. Obviously these are relevant to all of Victoria and not just Geelong & District but that shouldn’t stop me from making them available for everyone. And I can reassure those researching in Geelong & District that many of these entries relate to our region. Some refer to a location but many do not. An example: I hesitated when I was checking some (future) entries – there was a surname of SICHLAN. I recognised the name so checked the Geelong & District Database and confirmed that it was a “local” family variously spelt SICHLAN and SICHLAU. Supreme Court of Victoria Equity Case Files 1852-1886 Index – 569 entries. To understand the value of these records and the files at PROV they will lead you to, read the information provided by Ada for these entries which include Companies, Property and Trustees Statutes with MANY relating to children and their guardianship. Another gem: the BECK infants – Guardian appointed father John in New Zealand ! How useful is that for researchers? And what about: Jane DONALDSON – nee GUTHRIE of Falkirk UK ? And for a real local: Queenscliff Fishing Co Ltd – winding up petition in 1874.